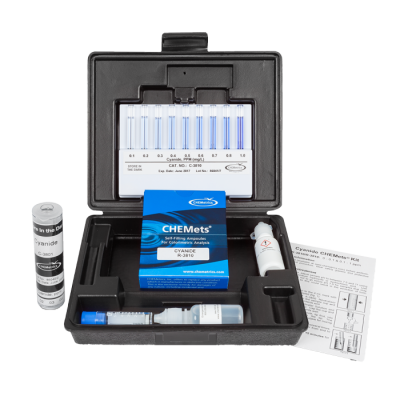 CHEMetrics Aluminum Test Kit - Osprey Scientific Inc.
Aluminum forms a variety of minerals in the earth’s crust. Aluminum and its alloys have many uses: heat exchangers, construction materials, and aircraft parts. Alum (aluminum potassium sulfate) is used in water treatment to flocculate suspended particles but may raise the level of aluminum in finished drinking water. 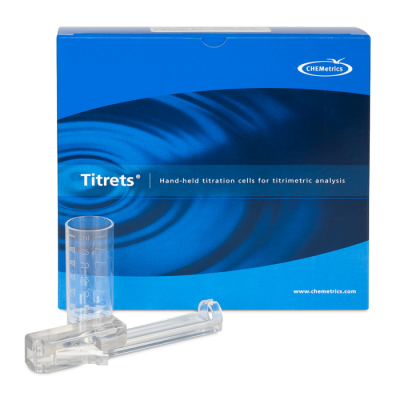 The maximum secondary contaminant limit for drinking water is 0.05-0.2 mg/L. 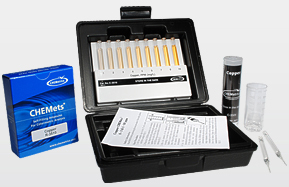 Kit comes in a cardboard box and contains everything needed to perform up to 29 tests (except distilled water): thirty ampoules1, Activator Solution, Neutralizer Solution2, 25 mL sample cup, ampoule blank, 1.0 mL syringe, and instructions. 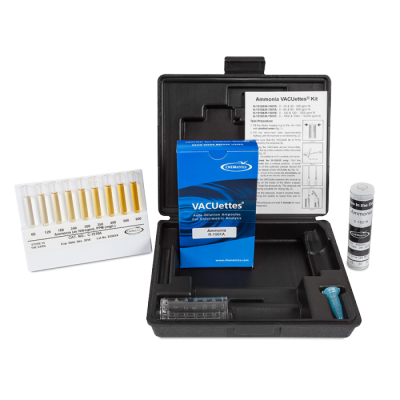 Vacu-vials Kits require the use of the V-2000 Photometer or a spectrophotometer capable of accepting a 13 mm diameter round cell. Instrument sold separately. 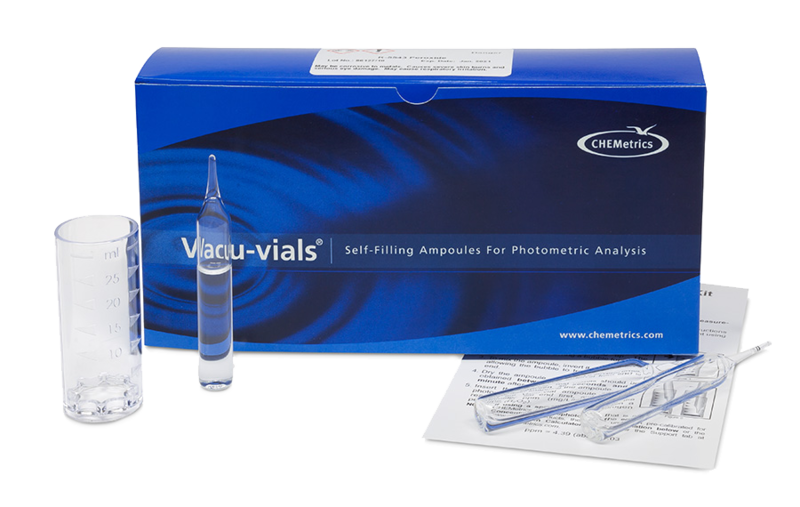 1Although the test kit contains 30 ampoules, a fresh reagent ampoule blank must be prepared for each series of tests; therefore, the number of samples that can be tested with each kit will vary from a maximum of 29 to a minimum of 15. 2The Neutralizer Solution is supplied as a dry chemical with NO expiration date. Once reconstituted, it has a shelf-life of 6 weeks that can be extended to 3 months if stored in the refrigerator when not in use.